G10 sport earbuds are what you’ve been searching for. 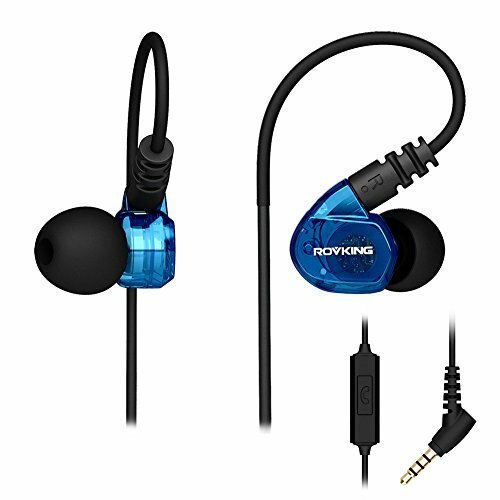 Ear buds of these running headphones are smaller than other standard running earbuds. Once earphones are seated in your ears, you won’t feel bulky, uncomfortable or hurt even after long time wearing. There are 4 sets of ear canal pieces for you to switch. The earpods will not pop out and custom fit in ears with proper size ear inserts. In ear angle is specailly design to get secure fit. The loop over the ear wire is gentle and fits around the ear. It keeps the workout headphones in place even while sweating. You don’t have to adjust the slipping out earbuds in your run. No interrupt to your gym workout any more. These are also light weight and comfortable workout headphones. Sometimes you will even forget you are wearing them. They are sweat proof and good exercise headphones for running, jogging, weight lifting, cardio, etc. CLICK “Add To Cart” button at the top right. Enjoy music and your run with affordable exercise earbuds wouldn’t come out of ears. **QUALITY WARRANTY FROM Defway ONLY** OVER EAR EARBUDS FOR SMALL EARS – The ear buds size are smaller than other earhook headphones. You don’t have to stretch your ear to put earphones into ears. They can fit in and over small-average sized ears with no pain. These running earbuds will stay put in ears without discomfort even during long runs. These sport earbuds also come with 4 ear piece sizes to ensure a custom comfortable fit, sealing the ear to deliver bass and isolate noises.